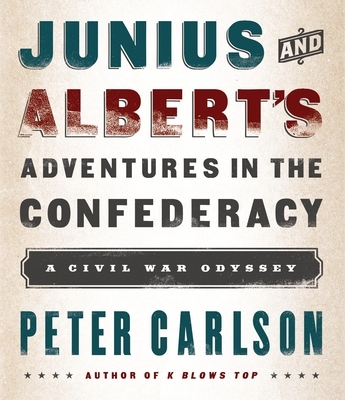 Albert Richardson and Junius Browne, two correspondents for the New York Tribune, were captured at the Battle of Vicksburg and spent twenty months in horrific Confederate prisons before escaping and making their way to Union territory. Their amazing, long-forgotten odyssey is one of the great escape stories in American history, packed with drama, courage, horrors and heroics, plus many moments of antic comedy. They must endure the Confederacy’s most notorious prison; rely on forged passes and the secret signals of a covert pro-Union organization in North Carolina; trust a legendary guerilla leader; be hidden by slaves during the day in plantation slave quarters; and ultimately depend on a mysterious, anonymous woman on a white horse to guide them to safety. They traveled for 340 miles, most of it on foot, much of it through snow, in twenty-six days. This is a marvelous, surreal voyage through the cold mountains, dark prisons, and mysterious bands of misfits living in the shadows of the Civil War. PETER CARLSON is the author of K Blows Top, which was optioned into a feature film released in 2013 by HBO. For many years, he was a reporter and columnist for the Washington Post. He has also written for Smithsonian magazine, History Today, and the Huffington Post. He lives in Bethesda, MD. DANNY CAMPBELL has recorded scores of audiobooks. He has won Earphones awards for both fiction and non fiction titles. He is a founding company member of The Independent Shakespeare Company in Los Angeles, where he has appeared as Bottom in A Midsummer Night¹s Dream, Falstaff in Merry Wives of Windsor and Henry IV (Part 1 and Part 2), Dogberry in Much Ado About Nothing, Banquo and the Porter in MacBeth, and in other plays.